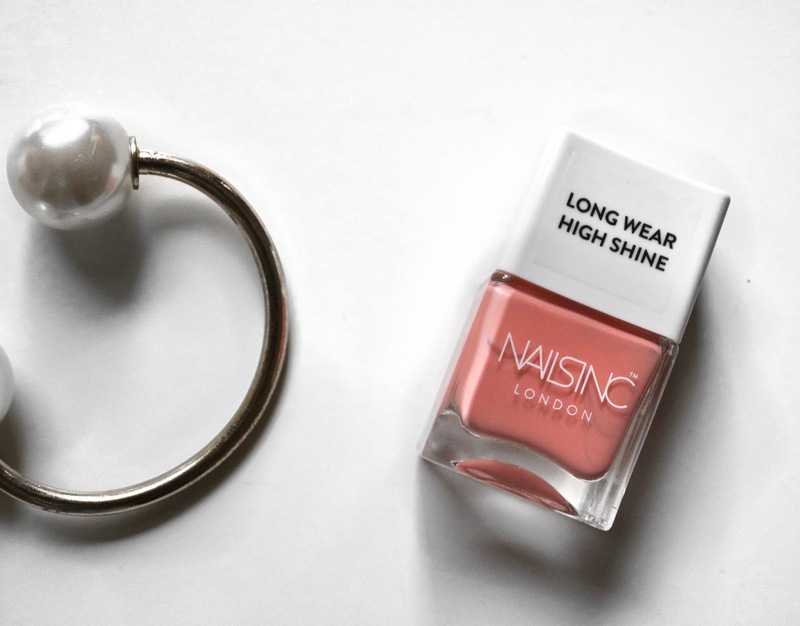 This week's nail paint of the week has been none other than Chelsea Lane from the limited edition long wear collection. 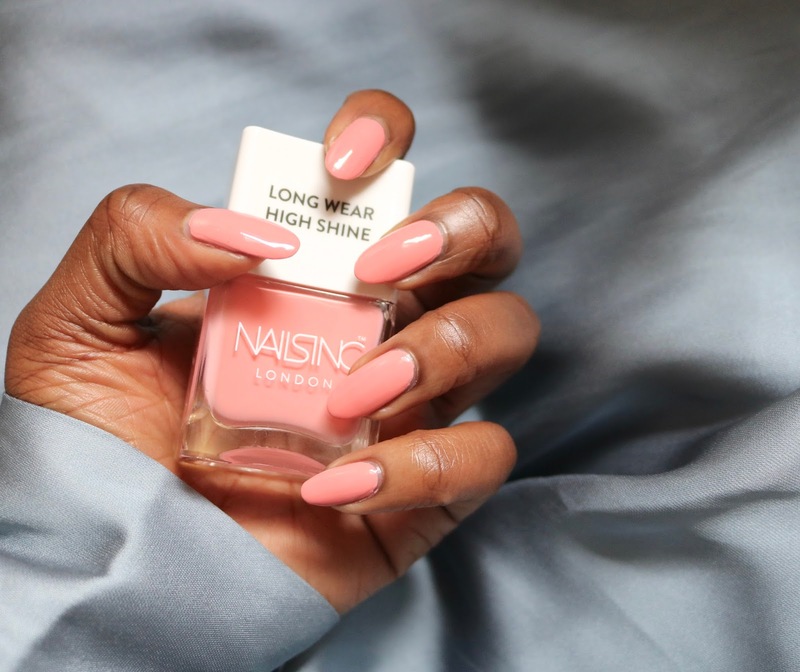 Chelsea Lane is pastel peachy shade that it is right up my ally for the spring/summer season. 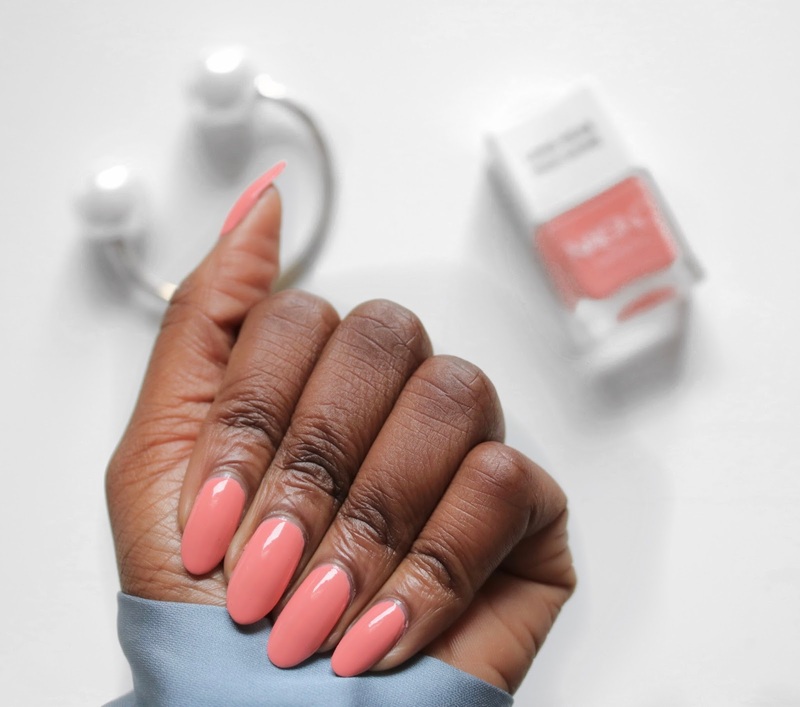 This colour has been adding a great pop of colour to my outfit this past week and I can foresee myself wearing this shade multiple times during the spring summer. I have worn Chelsea Lane for the past week and found it to be just as described with regards to it being long wear and high shine. 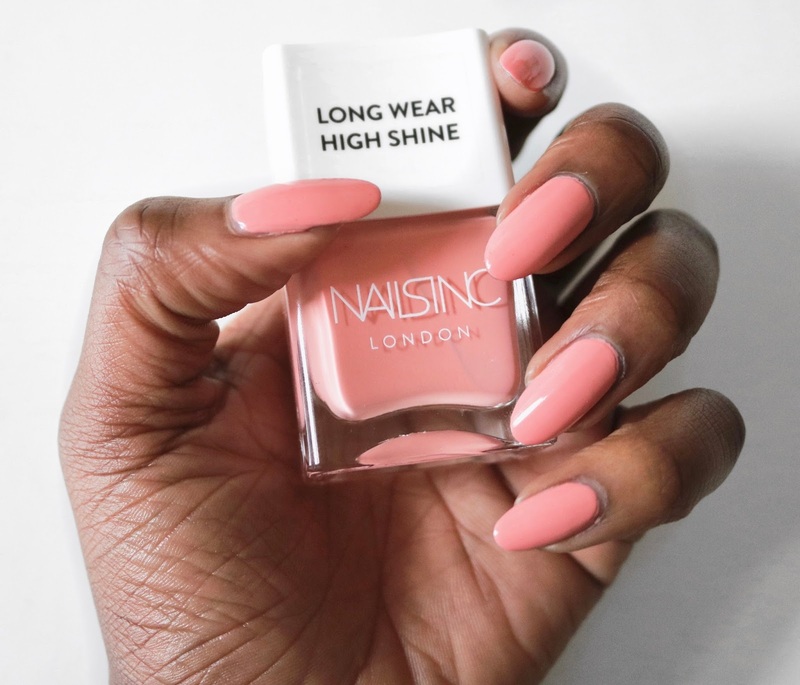 Having that I generally find all Nails inc polishes to be long wear and high shine so for me I didn't find Chelsea Lane to be that much different from the other Nails inc polishes that I have used in the past. To achieve the finish in the images, I first applied one coat of Nails inc Kensington caviar base coat to my nails, allowed it to touch dry before then applying two coats of Chelsea Lane and then finishing off my manicure with my all time favourite Kensington Caviar top coat.